Jamie Ditaranto is a traveler in a love triangle with writing and photography. Follow the drama on Twitter @jamieditaranto and Instagram @jamieditaranto. Ditaranto joined SmarterTravel in 2015. She loves ecotourism, cities with history, and discovering local hangouts. Though she likes all the continents equally, she holds a special place in her heart for rainy little islands. Her work has also appeared online at USA Today, Huffington Post, Business Insider, and other publications. You can check out her photography on her website. The Handy Item I Always Pack: "My instant camera comes in handy for giving instant gifts to new friends." Ultimate Bucket List Experience: "Befriending penguins in Antarctica." Travel Motto: "You have to get the hard places out of the way first." Aisle, Window, or Middle Seat: "On short flights, the window. For long flights, the aisle." When flying first class, there’s nothing wrong with wanting to look the part. Complimentary Champagne doesn’t quite taste the same when you’re wearing your old college sweatshirt and those yoga pants with the hole in the knee. On the other hand, if you’re in for a long-haul flight, even when flying first class, you won’t be very comfortable in business attire. Dressing for a first-class flight means striking that perfect balance between comfort and style. Luckily, with the trend in athleisure fashion taking off, striking that balance is easier than ever. Here’s the perfect outfit plan for flying first class in a way that looks sophisticated and feels casual. 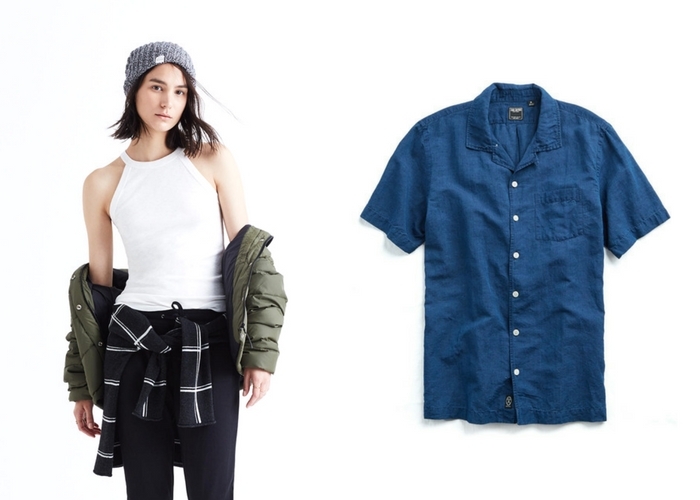 Skip the discounted packs of undershirts and tank tops, and invest instead in a bottom layer that has some lasting power. A reliable, durable, and comfortable bottom layer will make all the difference and in first class, you’ll need something that looks chic. For ladies, comfort and style are easily achieved with the high neckline of the soft and flexible tank top from ENIDMIL. For guys, this short-sleeved collared shirt from Todd Snyder completes a casual but put-together look. A good coat can make an outfit and help you pull your look together, but when you’re flying first class, you’ll also need something that will keep you warm in case the plane is chilly. For women, this is the time to embrace athleisure with a coat like the Hoodie Long Tunic Sweatshirt from TheMogan, which stretches past the knees for ultimate coverage and warmth. For men, a short and sturdy coat like the Heavyweight Terry Crewneck from Reigning Champ pulls it together with a baseball collar and keeps it casual with 100 percent cotton material and a two-way zipper. Although we can rely on our favorite jeans for just about any other moment in our lives, they don’t always work on airplanes. When your legs get restless, you’re going to want pants that are comfortable enough to move around and sleep in, but when you’re flying first class, they have to look good, too. This is when Betabrand comes to the rescue. With its Dress Pant Yoga Pants for women and the Dress Pant Jogger Pants for men, you can look ready for business and also be ready for bed with these soft terry pants that boast style and pockets for everybody. For the shoes, you’ll need a pair with stand-out style that are also easy to slip off when going through security and settling into your seat. 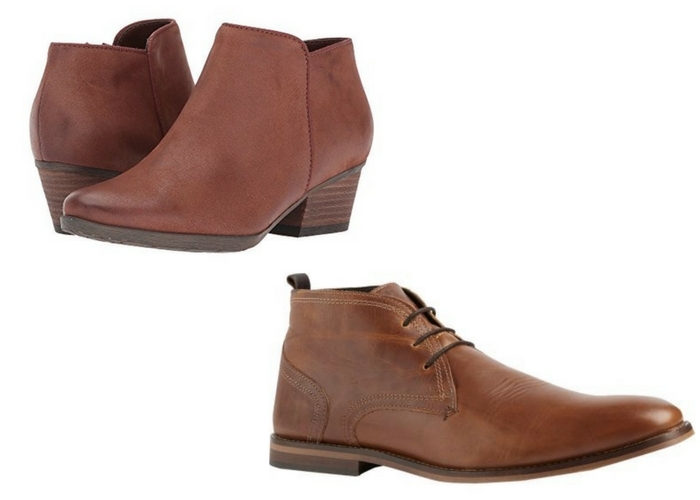 Ladies can add a pop of color and sophistication with the Blondo Villa Waterproof booties, while guys can make a statement with the Kenneth Cole REACTION’s Chukka Boot. Scarves are a necessity on long-haul flights, whether you’re flying first class or economy. From using it to stay warm to covering up a bad hair day, it’s a must-have, and on a first-class flight, you’ll want something that expresses your personal style. For women looking to brighten up an outfit, the Wild Oasis Cashmere and Silk Scarf can heighten the style of even the most casual outfits. 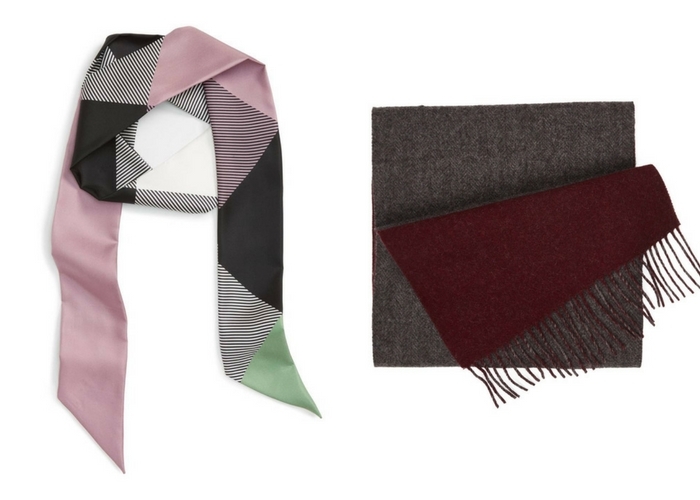 Men looking for a more subdued scarf might like Tie Bar’s two-toned River West Solid scarves. An eye-catching watch can be the perfect way to make a statement when flying first class, but you don’t have to go out and buy the most expensive watch on the market to do that. 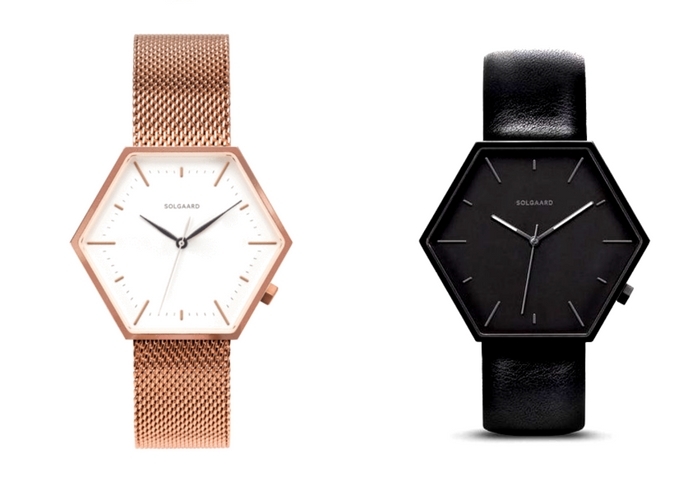 Recently released by Solgaard, the Hex watches like the women’s edition in stone and the Minimalist in matte black are the perfect way add sophistication to your first-class outfit, without looking like you’re trying too hard. Jamie Ditaranto is a writer and photographer who is always looking for her next adventure. Follow her on Twitter @jamieditaranto.